After being hit hard during the recession, Latinos say they worry that the same reckless behaviors that precipitated the economic crisis could make a comeback. Latinos were one of the primary victims of the predatory lending practices that led to the housing crisis. That included being offered low-interest teaser rates on mortgages that later ballooned to a point they could no longer afford. Many borrowers were forced to default. As a result, Latinos lost their homes more than any other racial or ethnic group between 2007 and 2010, according to the U.S. Bureau of Labor Statistics. In response to the meltdown, the Obama administration put in place the Dodd-Frank financial reforms to rein in Wall Street and the big banks. Dodd-Frank also established the Consumer Financial Protection Bureau to protect consumers and prevent such practices from happening again. Among other things, the CFPB enacted rules that required mortgage lenders to ensure borrowers are financially capable of paying their loans. It also cracked down on payday lenders and tightened oversight on international money transfers. Related: House votes to kill Dodd-Frank. Now what? 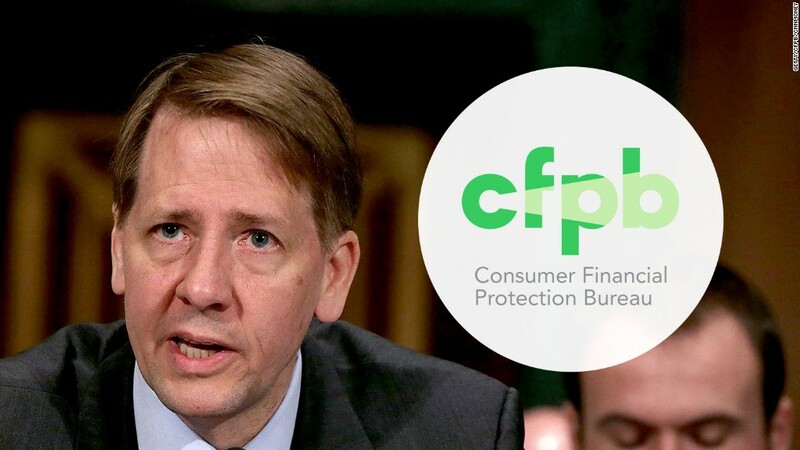 Now the Trump administration is seeking to repeal Dodd-Frank and hobble the CFPB's authority and independence -- a move that has many Latino consumers nervous. In a recent survey, nearly 81% of Latinos said that if the government had fewer rules on banks, credit card companies, payday lenders and mortgage lenders, these companies would be more likely to take advantage of them. The survey, which was commissioned by Latino advocacy group National Council of La Raza, polled 1,000 Latino registered voters. The respondents overwhelmingly said they trusted an independent consumer protection agency to oversee banks and make sure that the financial industry is honest to the public. However, a majority said they do not trust President Trump or Congress to oversee banks. Things have improved some since the recession. 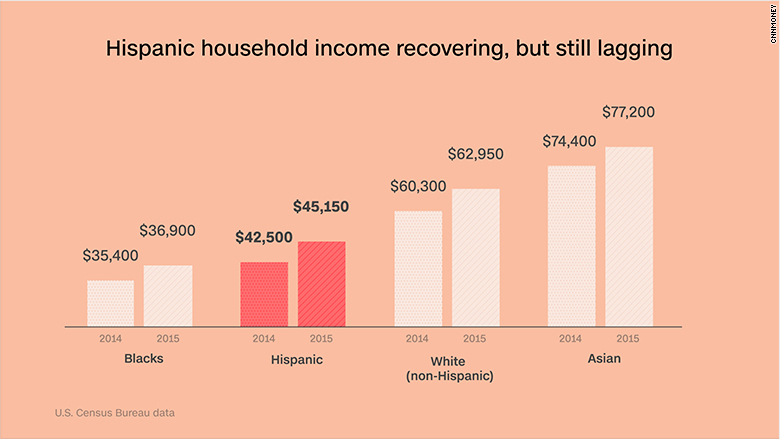 Latino household income grew 6.1% from 2014 to 2015, faster than any other racial or ethnic group, but many Latinos still lag far behind whites and Asians when it comes to median household income and wealth. They also struggle to get loans due to tighter lending standards at traditional banks that require stronger credit scores and big down payments. "Many [of our] clients are discouraged to work with banks out of fear of rejection," said Sean Salas co-founder and CEO of Camino Financial, an online lending website that helps connect predominantly Latino small business owners or first-time borrowers with lenders. Trust also still seems to be strained between the Latino community and the big banks. The La Raza survey found that nearly 75% said they believed the financial industry is still engaged in the type of reckless practices that led to the housing crisis and economic meltdown. Instead of traditional banks, many Latinos have been turning to non-bank financial institutions, like merchant cash advance companies and online lenders, which are typically under less regulatory scrutiny or oversight instead, Salas said. The financial industry blames government regulations for straining the relationship with Latino borrowers. Jack Ferry, a spokesperson for the American Financial Services Association, the trade association for the consumer credit industry which consists of auto lenders and "small dollar lenders," said small lenders struggle to remain in compliance of both state and federal oversight rules. He believes repealing Dodd-Frank and reducing the CFPB's power will help lower the barriers that are keeping both banks and non-traditional lenders from lending to low-and middle-income borrowers. "The principal of consumer protection is something that we can all get behind, but not when it impedes lenders from making loans to their customers," Ferry said.